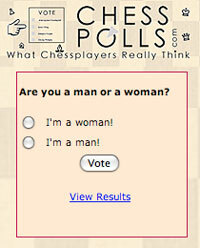 “So far so good” were the words of Boris Gelfand while leaving the playing venue after the seventh round. 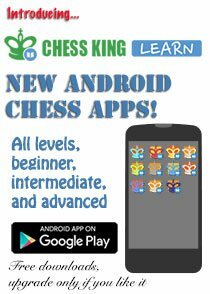 On Saturday, his opponent Anish Giri decided to go for a sharp King’s Indian. Boris had to think for a while and opted for the bayonet attack. First moves were played very fast and after 22 moves, Gelfand decided to sacrifice a piece! The two white bishops were very dangerous and Anish decided to give up an exchange with 25…dxc5?! Boris took a good advantage but 30.Rf1 was an inaccurate move and gave the opportunity for Anish to come back in the game and eventually equalised. A disappointing draw for Boris who could have increase the lead. 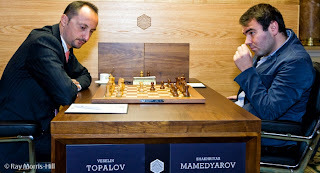 The first game to end in the eighth round was between Topalov and Mamedyarov. In a well-known line of Caro Kann, Mamedyarov equalised right after the opening. “Shak” didn’t know 18.Be1 but it was not a big danger for Black and after one hour of play, both players decided to repeat the moves. Draw in 31 moves. 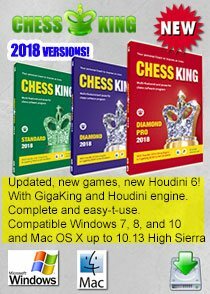 Hikaru Nakamura decided finally to play 1.e4 instead of 1.Nf3. The American played chose the exchange variation of the Spanish. Vasily Ivanchuk decided to go for the endgame with 5…f6. After exchanging some pieces, both players decided to double rooks on the “d” file. 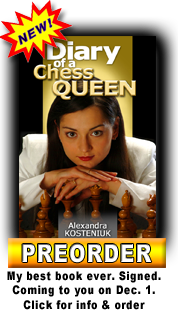 The endgame knight+bishop looked drawn but Vasily kept on pushing on the queen’s side and Nakamura started to makes mistakes in time trouble. Ivanchuk jumped on that occasion to win the endgame! Leko and Grischuk were in a fighting mood today, opting for the very sharp Sicilian Najdorf. White opened and attacked on the centre, forcing Black to react by giving an exchange, counter attacking with the knights on the White’s king. 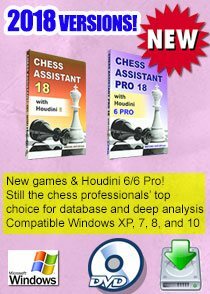 The Hungarian had the possibility to take a big advantage by playing the computer move 22.g6! but preferred the more human and safest 22.c3. The Hungarian player made his advantage slip away with 26.Rh3. 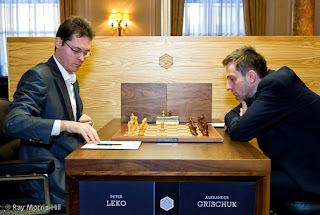 Grischuk took his chance, played very accurate moves and drew the game. 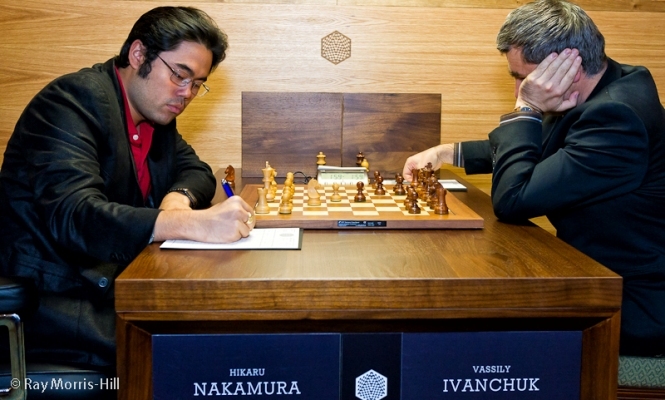 The game between Rustam Kasimdzhanov and Michael Adams was much more peaceful with the English opening. 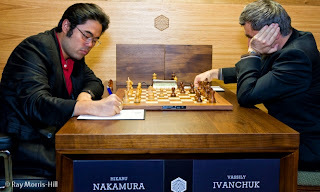 Rustam had a pleasant position to play, pressuring without any big risks. The Black pawns on “b4” and “c5” looked slightly weak in the middlegame. Adams managed to exchange his weak pawns, and everyone could expect a quick draw. 37…h5? was a mistake and Michael had to fight in a queen endgame with a clear pawn down. 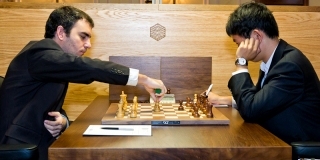 The position got worse and Kasimdzhanov was unable to defend it. Wang Hao surprised Dominguez by playing a Bd7 Richter-Rauzer Sicilian variation. 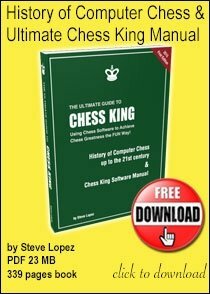 The position looked like more like a typical Najdorf, White attacking on the king’s side and Black on the queen’s side. The Chinese player went for a typical exchange sacrifice with 15…Rxc3?! complicating the position. 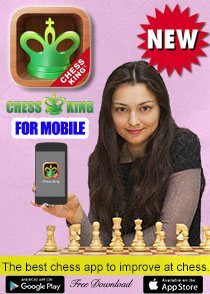 Dominguez reacted calmly, exchanging queens, putting his bishop on “d5” and took a big advantage.. The rest of the game was a matter of technique for Leinier but the 37th move was a mistake and the Cuban player had to finally draw his game. A small miracle for Wang Hao!